Lonely Planet, the #1 travel guidebook publisher in the world, has released today its annual list of the best places to go in the US for the upcoming year. Lonely Planet’s Best in the US 2015 is a carefully curated list of destinations selected by Lonely Planet’s US-based editors and expert guidebook writers, who research the United States extensively for the travel media company. The list features locations all over the map and includes a mix of up-and-coming destinations, old favorites with timely reasons to visit next year and places otherwise poised to shine in 2015. Fantastic food scenes, epic adventures, small-town charm and anniversary celebrations are some of the elements that make these destinations among the best places for travelers to add to their wish lists for the year ahead. The list includes Queens, NY, Western South Dakota, New Orleans, LA, Colorado River Region, North Conway, NH, Indianapolis, IN, Greenville, SC, Oakland, CA, Duluth, MN, and Mount Shasta Region, CA. 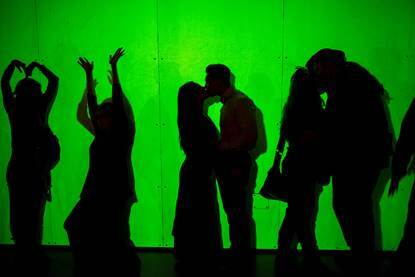 Celebrate love in February at Exploratorium by delving into the museum’s sensual and steamy side through exhibits, art and activities that focus on human interaction, love, trust, touch and more. There are three date nights at The Exploratorium in the month of February. The first is on Thursday, February 5. This event is called After Dark: Nocturnal. Next, on Thursday, February 12 Resonance with Susie Ibarra is going on. Finally, on Thursday, February 26 is Full Spectrum Science with Ron Hipschman: Radioactivity. For more information, visit exploratorium.edu. Kick start the new year by hiking Walnut Creek’s Devil Mountain with the Mount Diablo Interpretive Association. Starting on Sunday, January 4 at 10:30 am to 3:30 pm, we will be hiking Oak Knoll and Summit Loop Hike. Circle the Mountain will be Sunday, January 11 at 10 am to 4:30 pm. Mount Diablo’s Hidden Waterfalls six-mile hike is on Sunday, January 18 at 9 am to 2 pm. Also on the 18th will be Mushrooms, Fungus, and Lichens from 10 am to 2 pm. For more information and reservations, email jvanakkeren@comcast.net or mtdiablohiker@gmail.com. This is a 12 days, 12 nights tour beginning May 3-15, 2015. The tour beings and ends in Amsterdam. It is $4,095 per person with double occupancy. Singles will add $725. A sample of the day includes a stay at Hotel Herbergh, near Amsterdam’s Schiphol Airport. The day starts off at one of the world’s best-known and most beautiful gardens, Keukenhof. Delft is the final stop where check-in at the canalside hotel takes place. Check out the detailed itinerary at http://www.intimatefrance.com/netherlands_2015.html. You can also call (800) 676-1247 for more details. The new travel guide, written by responsibletravel.com, the leading online site for authentic travel experiences in partnership with the Colorado Tourism Office, incorporates expert tips and podcasts from local Coloradans to allow tourists to discover the state ‘like a local’ and to connect more deeply with its people, food, culture and landscapes. Trudi Pearce, Head of Destination Partnerships at responsibletravel.com says “The guide highlights that Colorado is not just a destination for adrenaline-seekers, but is instead somewhere where wholesome, reinvigorating holidays come naturally. “We hope it will become a leading resource to help tourists find the best places to explore Colorado’s mountains, rivers and dunes, to walk, kayak, and go horseback riding, to discover more about its fascinating Native American history and to find the most delicious locally produced food, wine and beer”. 1. 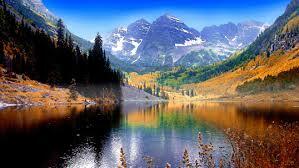 Coloradans – Super-fit, super-friendly and not super-obsessed with living the American dream. Just living. And hearing the stories and sharing the passion of the state’s inhabitants, high on life in an incredible landscape, is addictive. 2. Zapata Ranch – Situated on the edge of the prairies, dunes and rocky peaks of the other-worldly Great Sand Dunes National Park. Ride on the dunes, even as a beginner, and contrary to popular stereotypes most of the wranglers working this 1000 acre ranch are female, super-educated and environmentally aware. 3. Ute Indian Mountain Tribal Park – Take a hike with a Ute Indian Guide into this remote and otherwise un-navigable park, and discover ancient Puebloan cliff dwellings with Native American artefacts more beautiful than many found in museums. And all trip fees support local American Indian culture and economies. 4. Aspen Meadows Resort – Home to an annual, world-renowned Ideas Festival at The Aspen Institute, where world-changing American thinkers have come together to discuss ideas since the 1940s. Its access into the mountains via cycle and hiking paths make a true retreat for body and mind. 5. Soaring Treetops Adventures – Not just a standard tree-top zipline, this course through the San Juan Mountains in Durango is only accessible by train and has a unique, low impact system which protects the trees, allowing for eco-friendly, high-adrenaline adventures through forests and over rivers. 6. Chipeta Solar Springs Resort & Spa in Ridgway – Named after the silent and wise wife of Ute Indian leader Chief Ouray, Chipeta is a tranquil escape in the Cimmaron Range of the San Juan Mountains. Run on solar technology and with a spiritual heart it offers a place to recharge, relax and connect with Colorado. 7. Float and boat with Rondo – Swap the well-known white water rafting rapids for a more leisurely float downstream in a traditional wooden ‘dory’. Along the Colorado River from beautiful De Beque Canyon, hear stories from expert oarsman, Rondo Beucheler of Palisade River Trips, before ending in Colorado wine country. A taste of real, local life. 8. Orvis Hot Springs – Considered a sacred place by the Tabagueche Indians who once soaked here, these hot springs have retained an intimate, sleepy feel a world away from the commercialisation found at many other sites. 9. Devil’s Thumb Ranch – The full cowboy experience, but with some luxury creature comforts. Spend the day riding out through the Arapaho National Forest by day, before relaxing in a geothermically-heated pool at night. After a dinner of locally sourced Wagyu Beef and Colorado Beer. 10. Rocky Mountain National Park – The backbone of Colorado, the Rockies do, in fact, rock. The Rocky Mountain Conservancy lead talks and walks along the Big Thompson River, up to hidden waterfalls and lakes, past moose, elk and a host of other wildlife. 11. Anderson Ranch, Snowmass Village, nr Aspen – A thriving ranch which has swapped cows and livestock for the arts. Typical of Aspen’s creative, sharing ethos, local and international artists run prestigious programmes, or simply turn up to wander round the open galleries and eat their locally-sourced cafe fare. Find more cool things to do in Colorado with responsibletravel.com’s in depth guide at http://www.responsibletravel.com/holidays/colorado/travel-guide.